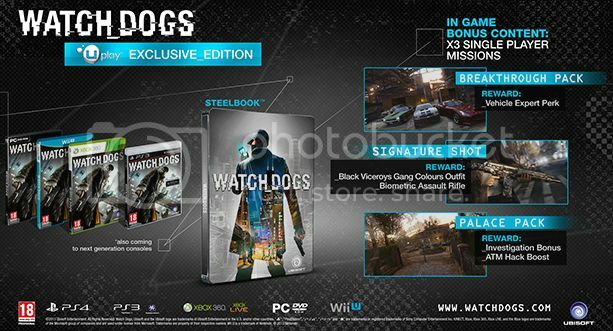 Dr Jengo's World: Watch Dogs Collectors' Editions Revealed! CEs for the upcoming open-world game with hacking capabilities have been revealed! Of course, with Ubisoft, they won't be stopping with 1. In fact, there's going to be 4! Good or Bad? You decide! The 4 editions are not tiered down where the bigger CE has all the content from the smaller CEs. So it's up to you which CE you would like the most or if you have OCCD (Obsessive Compulsive Collecting Disorder) like me, then you would want to get a couple if not all.. 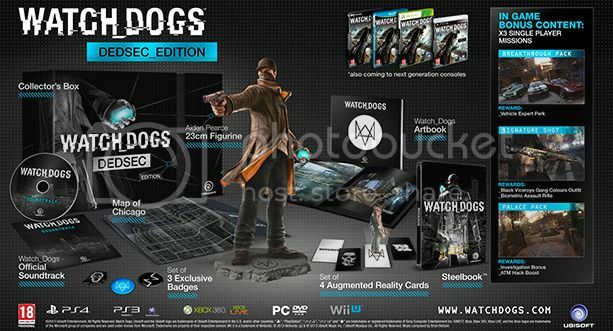 The Dedsec Edition is undoubtedly the big one with the Aiden Pearce Statue. Definitely my kind of CE! They will be selling the Aiden Pearce Statue on Ubishop separately as well but it seems only certain countries will be able to see it unless you use a proxy. No doubt it will be all over eBay though. That's not all though.. There will be a Set of 4 Augumented Reality Cards. If memory serves me correct, these can be used with a Playstation Eye only? Not sure of it's purpose as of now. Also a Set of 3 Badges There's also a Artbook, Soundtrack, Physical Map, Steelbook and Several Bonus In-game content.. Standard CE stuff.. 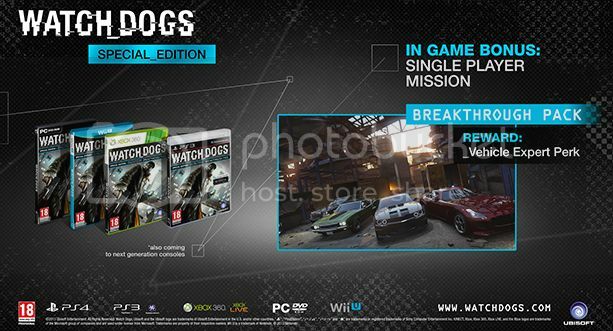 The Vigilante Edition will include the Soundtrack and the Palace Pack bonus mission (DLC) which is also available in the Dedsec Edition. 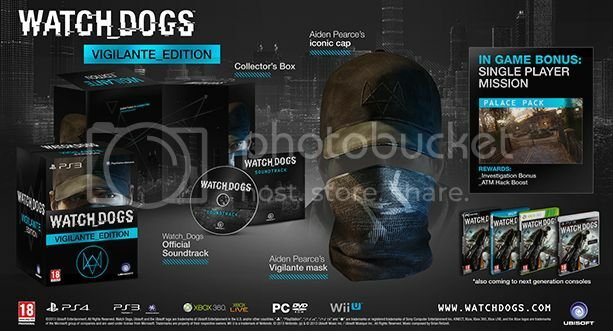 Special feature of this edition is the Aiden Pearce's Iconic Cap and Vigilante Mask. Aiden Pearce is seen sporting these in most parts of the trailers so I guess cosplayers will have a bomb with these. The UPlay Exclusive Edition comes with all 3 bonus missions that are available in the Dedsec Edition and a Steelbook that looks different from the one featured in the Dedsec Edition. This one has a white background compared to the Dedsec's black background. So unless there was an error, Steelbook collectors have 2 to add to their collection. Probably nothing special about this Special Edition, this edition will probably be offered to all those who pre-order and early buyers of the first print as a thanks for getting the game early. Still cool with an extra bonus mission which is also included in the Dedsec Edition. I'm most probably getting the Dedsec Edition.. still considering the Vigilante Edition though. Don't really collect apparel with game designs, but these being replica items might consider getting them. So any interest in this game? Enough interest to consider getting a CE or two? Hopefully we will see more info in next month's E3 2013. This might be one of 2013's Game of the Year if it lives up to expectations..